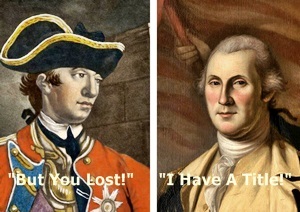 1776 – General George Washington rejected British General William Howe’s second letter of reconciliation. With Howe and a superior British force having recently landed at Long Island and handed the Continentals a humiliating defeat at the Battle of Brooklyn Heights on August 27, Washington made his decision to retreat and reunite his forces, citing the extreme fatigue of his soldiers and the lack of proper shelter from the weather. For his part, Howe had attempted to reconcile with the Patriots before blood was spilled, but had been rejected by Washington because he had failed to use Washington’s title of “general” when addressing the letter. From the British perspective, dignifying Washington with the title of “General” would legitimize him and the American troops as honorable combatants rather than rebels and traitors. Even after beating the Continentals at Brooklyn Heights, Howe looked for a peaceful resolution, but while Washington refused to accept the letter, he gave permission to have it delivered it to Congress in Philadelphia. On September 11, Benjamin Franklin, John Adams and other congressional representatives accepted Howe’s offer and reopened talks on Staten Island. The negotiations fell through when the British refused to accept American independence as a condition for peace. The British captured New York City on September 15. It would remain in British hands until the end of the war. 1813 – A force of 700 Creek “Red Sticks” Indians, under the command of head warriors Peter McQueen and William Weatherford, stormed Fort Mims near Mobile, Alabama. Two black slaves tending cattle outside the stockade reported that “painted warriors” were in the vicinity, but mounted scouts from the fort found no signs of the war party. Major Daniel Beasley, the commander, had one of the slaves flogged for “raising a false alarm.” Beasley later received a second warning by a mounted scout, but dismissed it and took no precautions, as he was reportedly drunk. At midday, the warriors attacked the fort. They entered through an open gate and fired into the fort through poorly designed gun ports. Commander Beasley died in the first wave, but part-Creek Dixon Bailey rallied the defenders. 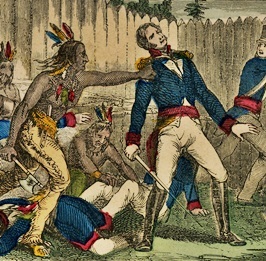 The attack continued for five hours and ended with more than 500 defenders and settlers dead, including most of the women and children at the fort. The ensuing Creek War culminated in a decisive victory for U.S. forces in the Battle of Horseshoe Bend on March 27, 1814, and the Creek Nation’s subsequent cession of over 21 million acres of land to the U.S.
1862 – Confederates under Lt. Gen. Edmund Kirby Smith collided with Union General Mahlon Manson’s troops south of Richmond, Kentucky in one of the most lopsided engagements of the Civil War. The Confederates soon routed the Yankees, many of whom were new soldiers with no battle experience. After retreating two miles, Manson’s troops mounted a counterattack but were repulsed. The Union force retreated again, and the Confederates followed with a withering attack. 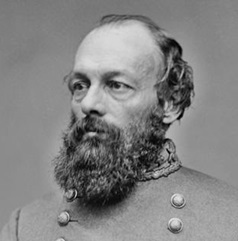 This time, the Yankee retreat was cut off by Colonel John Scott’s Confederate cavalry force. The loss was devastating for the Yankees. More than 4,300 of the 6,500 Federals were captured, including Manson and his entire staff. Confederate losses stood at 98 killed, 492 wounded, and 10 missing out of 6,800. The Rebels captured Lexington two days later. 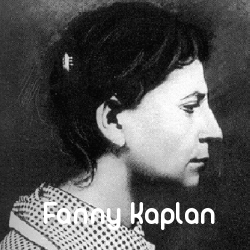 1918 – After speaking at a factory in Moscow, Soviet leader Vladimir Lenin was shot twice by Fanny Kaplan, a member of the Social Revolutionary party. 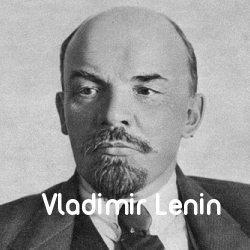 Lenin was seriously wounded but survived the attack. Kaplan did not reveal any of her possible accomplices and insisted that she was working alone. She was executed four days after the shooting. The assassination attempt set off a wave of reprisals (the so-called “Red Terror”) by the Bolsheviks against the Social Revolutionaries and other political opponents. Thousands were executed as Russia fell deeper into civil war. 1963 – Two months after signing an agreement to establish a 24-hour-a-day “hot line” between Moscow and Washington, the system went into effect on this date. The hot line was supposed to help speed communication between the governments of the United States and the Soviet Union and help prevent the possibility of an accidental war. 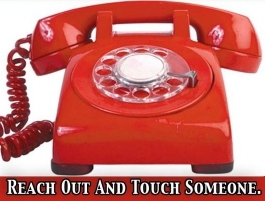 Although in popular culture the set-up is known as the “red telephone”, the hot line was never a telephone line, and no red phones were used (despite the clever photo above). The first implementation used Teletype equipment, and shifted to fax machines in 1986. Since 2008, the Moscow–Washington hot line is a secure computer link over which messages are exchanged by email. On August 30, the United States sent its first message to the Soviet Union over the hot line: “The quick brown fox jumped over the lazy dog’s back 1234567890.” The message used every letter and number key on the teletype machine in order to see that each was in working order. The return message from Moscow was in Russian, but it indicated that all of the keys on the Soviet teletype were also functioning. 1965 – Bob Dylan released his landmark Highway 61 Revisited album. The album’s lead song, Like A Rolling Stonewas a top-10 hit in several countries, and was listed at #1 on Rolling Stone’s 500 Greatest Songs of All Time list. 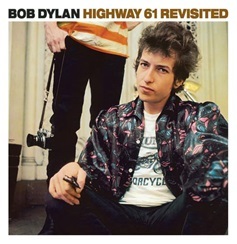 Two other songs, Desolation Row and Highway 61 Revisited, were listed at #187 and #373 respectively. 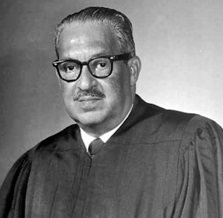 1967 – Thurgood Marshall became the first African American to be confirmed as a Supreme Court justice (by a 69-11 vote of the U.S. Senate). He would remain on the Supreme Court for 24 years before retiring for health reasons, leaving a legacy of upholding the rights of the individual as guaranteed by the U.S. Constitution. 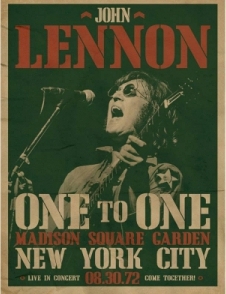 1972 – John Lennon performed in the One To One festival at Madison Square Garden. The concerts (one in the afternon, the other in the evening) benefited the pupils of Willowbrook School in New York City, a state-run institute for children with mental disabilities. Lennon purchased $60,000 worth of tickets to the charity event to give to fund-raisers. 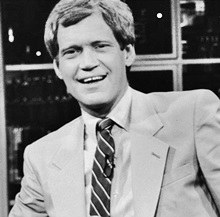 1993 – The Late Show with David Letterman premiered on CBS. Letterman would remain with the show for 22 years. 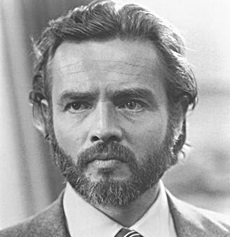 1993 – Actor Richard Jordan died from brain cancer at the age of 56. Jordan’s early career consisted of Broadways plays and character roles on television, but he is best known for his movie roles in The Friends of Eddie Coyle, The Hunt For Red October, Rooster Cogburn, The Bunker, and his final film, Gettysburg. 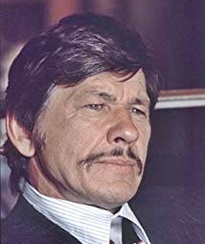 2003 – Actor Charles Bronson, best known for his tough-guy roles in The Dirty Dozen, The Great Escape, The Magnificent Seven, The Mechanic, and the Death Wish series of films, died at the age of 81 in Los Angeles. 2006 – The California State Senate passed Assembly Bill 32, otherwise known as the Global Warming Solutions Act. The law made California the first state in America to place caps on carbon dioxide and other greenhouse gases, including those found in automobile emissions. 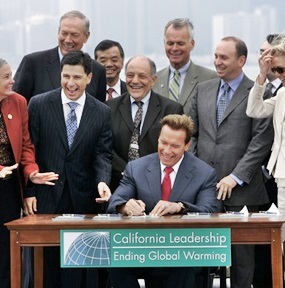 Assembly Bill 32 called for an overall 25 percent reduction in carbon dioxide emissions (or to 1990 levels) by 2025, a timetable that would bring California close to full compliance with the Kyoto Protocol, an international climate-change treaty signed in that Japanese city in 1997. 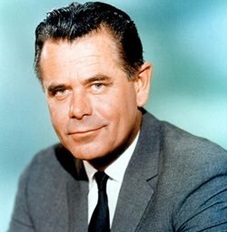 2006 – Actor Glenn Ford, who starred in classic films such as Gilda, Blackboard Jungle, 3:10 To Yuma, and Pocketful Of Miracles, died at the age of 90.